The architecture of Antoni Gaudí (18521926) is instantly recognizable for his organic forms, bold use of color and materials, and his technical innovations; many structures that Gaudí designed and built have been declared UNESCO World Heritage Sites. 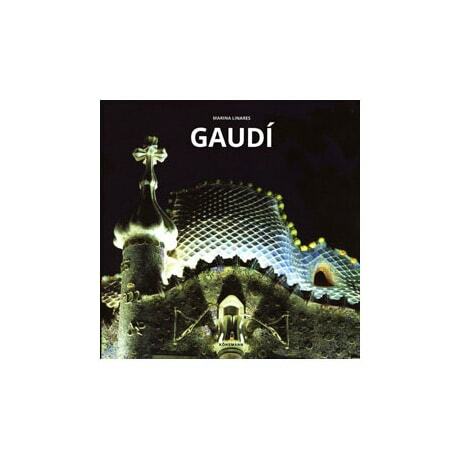 From the elaborate polychrome tile work of early projects like Casa Vicens and El Capricho to the superlative Sagrada Familia, over which he labored for four decades (and which, when finally completed in 2026, will be the tallest church building in the world), this catalogue considers Gaudí's artistic achievements within the context of the modernist movement, and the profound influence of his sculptural, almost living forms in an era of increasingly linear, mass-produced architecture. Boasting outstanding color reproductions on nearly every page, this affordable art book is quite compact (measuring just under 7½ inches square), yet offers a surprisingly wide-ranging survey of Gaudí's work, with an introductory essay, titles, and captions in six languages.